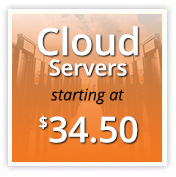 If you are looking to take your WordPress server to the next level, you’ve come to the right place. Here are the best optimization techniques available. HostDime’s new knowledge base, powered by Atlassian Confluence, features helpful guides, How To’s, informative tools, answers to server questions, and more easy-to-digest resources served with a simple, clean design. Does My Server Need RAID? “Do I need RAID on my server?” or “What happens if my server is not running RAID?” are questions the HostDime team gets often. Whether to deploy RAID depends mostly on how important uptime is to your operations. One out of every two businesses never return after a data disaster. Businesses that survive and thrive have a response to disaster BEFORE it happens. On behalf of the entire team at HostDime US, we want to thank everyone who reached out to us with positive thoughts and wishes for our well-being during Hurricane Irma. Increased visitors can slow down your site if you are not prepared for the traffic spike. 40% of visitors abandon a site after 3 plus seconds of load time. Each delayed second causes a 7% decrease in conversion rate; your money is literally lost by the second. In cPanel & WHM version 64, the company automatically converted the Legacy Backup Configuration to their new Backup system, causing some full backup drive problems.